Mondays....how I hate thee. If you are Monday hater like myself, you know the struggle of making yourself wakeup and get ready for the first day of the week. I think wearing an cute and comfy outfit can help make your Monday start off a little better. I work for a non-profit organization so I don't have to dress for work super corporate for work. I'm loving these belted wide leg trousers from paired with a cream colored knitted funnel neck top all from Topshop. Offices are usually pretty cold so I always have to have a cardigan with me. This Topshop ballon sleeve knit cardigan seems like a versatile piece that will keep you warm and stylish. Comfort is always key for me at work these Topshop journal pointy toe pump have the V shaped toe line and cone heel thats on trend right now. The three inch heel is a great height for wearing on a long day at work. I've been loving all things Gucci for awhile now, the small GG Marmont in quilted velvet is a great everyday bag that you can keep your essentials for work and for running errands after work. I think the pearly linear drop earrings from Berry Jewelry are appropriate and unique enough for work. 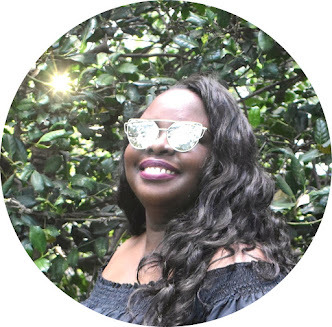 I love a bold lip this Kevyn Aucoin matte lipstick in the color bloodroses is perfect for all. I love ending the work week with a trip to the movies, with fall finally here there usually is a goof movie opening every week. I like to go to the movies dressed super comfy. I obsessing over this oversized Zara lace up sweater paired with these Topshop black stirrup leggings. 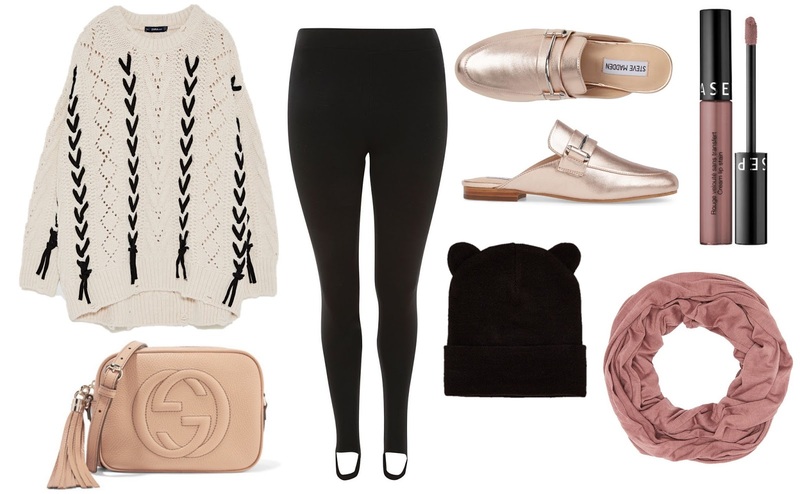 I love the look of wearing stirrup leggings with mule loafers, these Steve madden Kera flat loafers in the color rose gold are perfect for that look. I love the Gucci Soho Disco bag, its a perfect size for carrying to the movies. Fall means I can finally bust out my scarves and beanies, I'm loving this Charlotte Russe jersey knit infinity scarf in the color mauve and black Zara beanie with ears. The Sephora Collection cream lip stain liquid lipsticks are really amazing, I love that they dry down matte and last all day. Fall equals pumpkin time, one of my favorite things to do in fall is to go pumpkin picking. For an adventure to the pumpkin patch I like these Topshop moto grey jamie jeans paired with a grey Zara basic sweater with pearly cuffs. With the weather getting cooler I think this Topshop oversized borg jacket will help keep you warm. Pumpkin picking can be a muddy affair, I think these Bernardo zip rain boots are great for wadding through the mud looking for the perfect pumpkin. I think pairing the boots with these Topshop stain trim ankle socks makes a cute combo. I love this Zara slogan beanie with this look. While it may be cold the sun will probably be shining bright these BP. angular aviator sunnies will keep the sun out without breaking the bank. I'm loving the color of this Michael Kors Daniela crossbody bag, I think it would be great to carry as you frolic through the pumpkin patch.